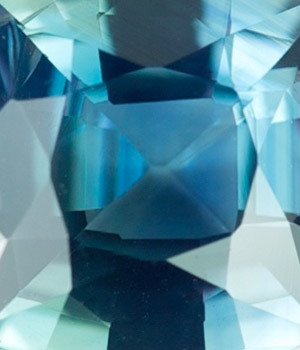 Take a look around our gallery and you’ll see shiny metals, brilliant gems, bold colours … and lots and lots of black. 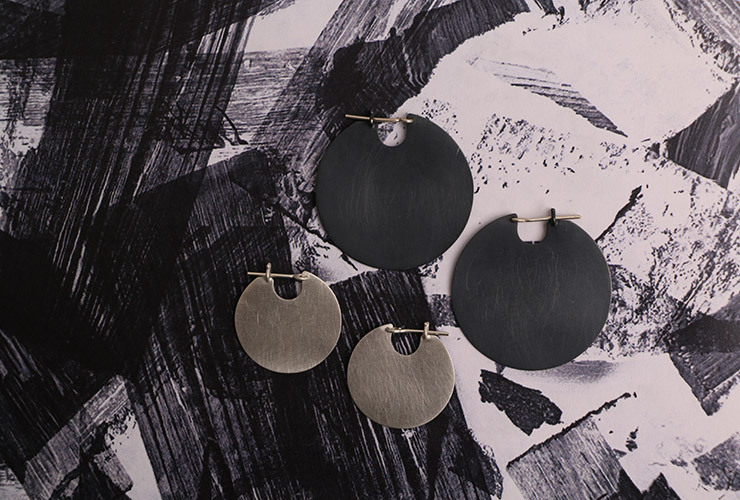 Not simply a fashion statement, this penchant for charcoal hues is driven by a popular technique in contemporary jewellery-making: oxidisation. Oxidisation is a surface treatment that rapidly speeds up the natural tarnishing process of silver, creating a blackened patina. It’s usually achieved by exposing the piece to sulphur in a chemical solution. Depending on the desired look, the silver may be oxidised to a light grey or a solid matte black, or may be rubbed back to so that parts of the metal are highly polished, while other parts remain dark. 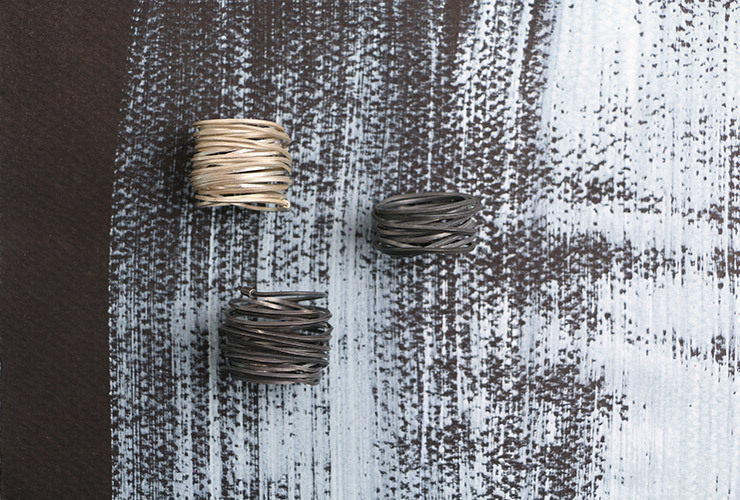 Oxidisation can be used to highlight the texture of a piece, such as Welfe Bowyer‘s pocked and mottled rings. 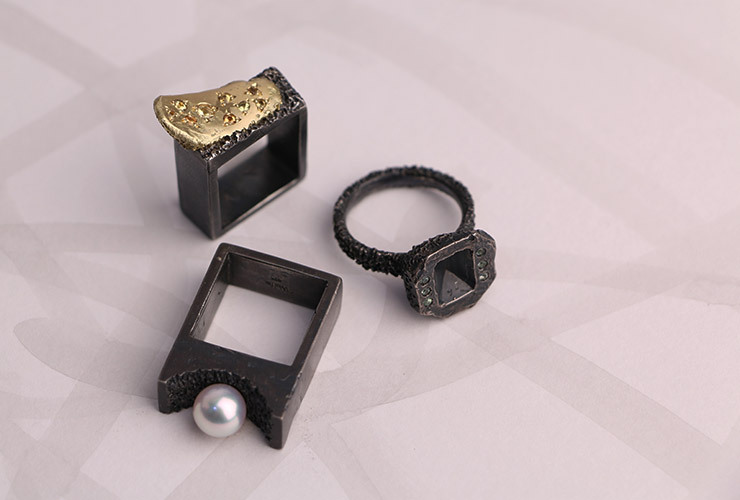 When completely black, his pieces take on the appearance of eroded volcanic rock. When oxidised and then polished, some of the black colour remains in the deep grooves of the piece, creating highlights, lowlights and shadow that can further emphasise texture. Many of our artists, such as Claire Taylor, also use oxidisation to outline patterns and shapes impressed in the metal – bringing leaves, blossoms, swirls and lines into relief. Plus, this is Melbourne. Who doesn’t love black? Because oxidisation is a surface treatment, it isn’t permanent. A blackened piece will begin to wear back in places to reveal the silver beneath. This process will start to happen almost as soon as you begin to wear your piece. 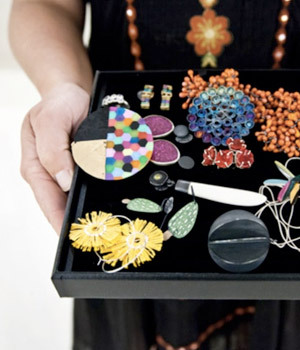 Think of it as part the ongoing journey of your jewellery – the surface will wear in places where it touches your skin, making the piece completely unique to you. If you’re keen to retain the oxidised effect for as long as possible, don’t clean your silver jewellery with a silver polishing cloth or silver dip, as this will strip the patina away. Keep your piece away from rough surfaces that may scratch the outer layer. 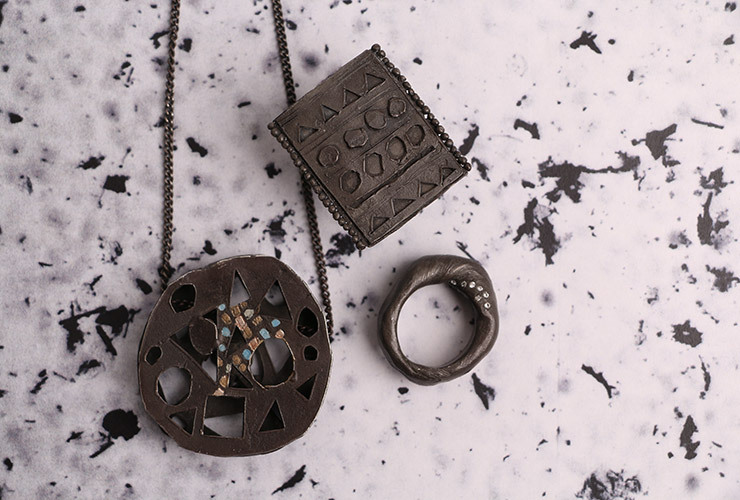 If your oxidised piece has become silver again and you would like it returned to it’s former blackened glory, e.g.etal can arrange to have it re-oxidised by the artist for a small fee. Contact us to enquire and receive a quote.